My wife and I wanted a pair of cheap flip flops for use at our swimming lessons. Your assistant "JAN" was extremely helpful. Despite the total sale being only £8 she twice went upstairs to the stockroom (at her suggestion) to find my wife's size and style of flip flops. Her manner was exemplary and a credit to your shop. If possible would you please pass on a big "THANK YOU" to her from us both. If only all retail assistants were this good !! For your information we come from Norfolk and have no connection with your assistant. 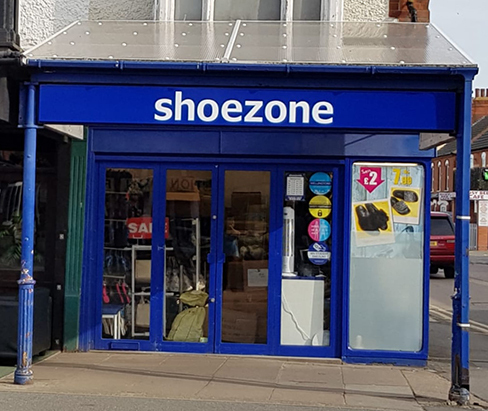 I tried a pair of boots on in my size but had to ask for the next size up, the very helpful member of staff went to the stock room to find them, they fitted perfectly. Before being served by Jackie; I observed her customer servicue skills to other customers and it was outstanding as she was extremely helpful, polite and listened to customers' requests. The shop was extremely busy and she was able to demonstrate how professional she by dealing with everyone's requests effectively and efficiently. I complemented her on how it was great to deal with some who made the customer so welcome. I am writing this to let you know that down to her great customer service skills we will visit your shop in our own town. Please let her know from your headquarters that she is a credit to your company. Store Number 1013. Before being served by Jackie; I observed her customer service skills to other customers and it was outstanding as she was extremely helpful, polite and listened to customers' requests. The shop was extremely busy and she was able to demonstrate how professional she by dealing with everyone's requests effectively and efficiently. I complemented her on how it was great to deal with some who made the customer so welcome. I am writing this to let you know that down to her great customer service skills we will visit your shop in our own town. Please let her know from your headquarters that she is a credit to your company.